Lights! Camera! Shopping! 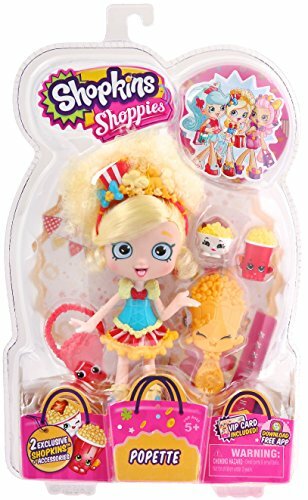 Shopkins Popette loves to act! Movies are this girl’s life. She’s always popping up when you least expect her and asking her friends out to see the latest release! This highly excitable girl is the loudest and most talkative. Her friends are always telling her to “keep a lid on it!” She’s a “reel” attention getter! She loves having a movie marathon when her friends sleep over! Corny jokes are always popping into her head and she likes to butter up to her friends so she can get her way.